Meatloaf is one of America's favorite comfort foods. Vegetables and traditional meatloaf flavors highlight this ground turkey and beef combination. 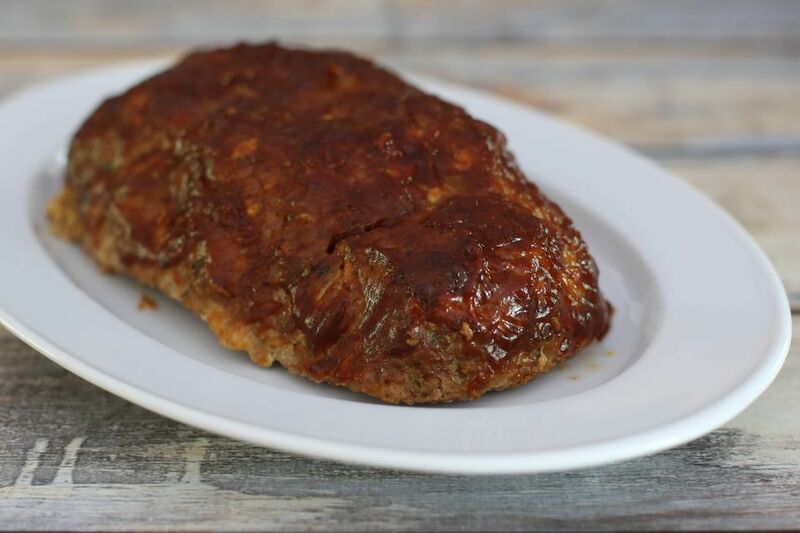 A tasty homemade barbecue sauce mixture is used to flavor meatloaf and make a tasty topping. Processing the vegetables in the food processor helps them blend into the meatloaf nicely. This is a big plus if you have kids who hate seeing chunks of vegetables in their meatloaf or just hate vegetables in general. Feel free to vary the vegetables. Grease a 9-x-5-inch loaf pan or rectangular baking pan or spray it with nonstick cooking spray. Combine the beef and turkey in a large bowl with the eggs and breadcrumbs. Set aside. In a food processor, combine the carrot, onion, garlic, and green pepper. Process until finely chopped. In a large skillet, over medium heat, heat the oil. Add the finely chopped vegetables and cook, stirring, for 2 minutes. Meanwhile, process the mushrooms until finely chopped. Add them to the vegetables and continue cooking for 1 minute. Set aside to cool slightly. In a bowl, combine the ketchup with the mustard, Worcestershire sauce, vinegar, brown sugar, red pepper, salt, and black pepper. Add about three-quarters of the ketchup mixture to the meat and breadcrumb mixture. Add the sauteed vegetables and mushrooms to the meat; mix until well blended. Pack the mixture into a loaf pan or shape into a free-form loaf in the rectangular baking pan. Bake the meatloaf for 1 hour and 15 minutes. Carefully pour off any excess grease. Spread remaining ketchup mixture over the loaf and continue cooking for 15 minutes. Mix the meatloaf with your hands or put the mixture in a large food storage bag. Knead the bag to blend the ingredients. You may mix a large meatloaf with the paddle attachment of a stand mixer; avoid over-mixing. To avoid clogged drains, pour the excess grease into an empty jar or container and dispose of it with the trash. Leave the mushrooms out or replace them with more of the included vegetables. Use all ground beef or make it with half ground beef and half lean ground pork. Add a rib or two of celery to the food processor along with the carrot and other vegetables.